I often make copies of clothes like this myself if they’re simple enough. Love your choice of fabric. I really should think about a cover stitch machine myself, especially with all the knits I do. Sounds like a good Mother’s Day/Birthday/Christmas gift! 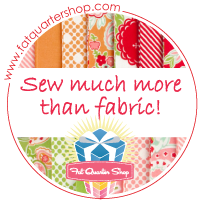 I don’t use this machine often because I’m quilting most of the time, but when the situation calls for it, I’d never go back to a double needle. If you do get one, definitely get a clear presser foot. However, I’ve found the seam guide that screws on to the base of the machine really isn’t needed. I have one and have found that a short pad of sticky notes works better than the fancy attachment. Very pretty! I love the fabric, and your pattern hack worked perfectly.